24 Hot Glue Gun Crafts + Tips! 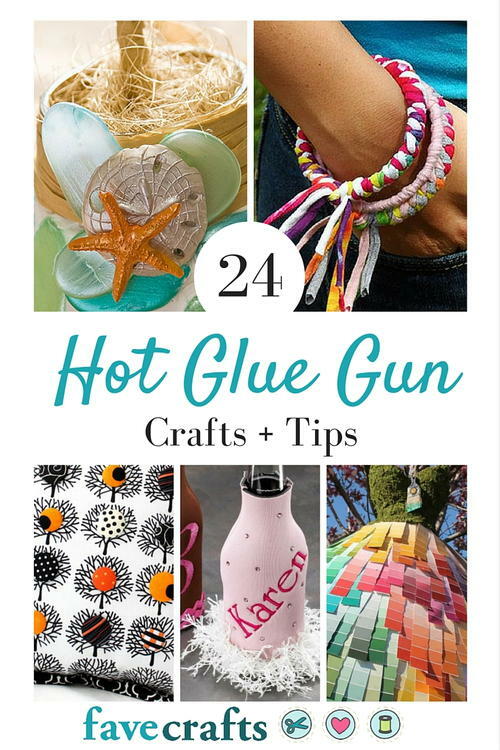 Fave Crafts created a round up of 24 Hot Glue Gun Crafts that I just had to share with you guys! Hot glue is definitely the most popular adhesive in the crafting world I think. Everyone has a hot glue gun, right? I just recently upgraded my old one to a new cordless version so it’s even easier to use my favorite quick drying glue. What I love about hot glue so much is that it can be used on such a variety of craft projects and it dries in less than a minute which is so handy!